Brushing and flossing on a regular basis are great for one’s oral health, but there are still ways in which people can unintentionally harm the health of their teeth. For anyone who grinds his or her teeth at night, there are possible options for at-home treatment. Grinding teeth can wear down the tooth enamel and cause jaw pain. Dental implants are the most modern and effective way to replace lost teeth. Teeth whitening is a popular dental tool that seems almost magical. Dentures can give patients a second chance at life when it comes to having a full set of teeth. If a tooth needs root canal treatment, we can provide the service and help the patient live a pain-free life. While many parents remind their children and ensure that they brush their teeth on a regular basis, children need professional dental care at a dentist. The role of a cosmetic dentist is to give you beautiful teeth so your smile can be brighter than ever before. To that end, there is probably no tool as versatile or as widely used as dental veneers. We are an emergency dentist in Colorado Springs that is available to help if you damage a tooth or suffer from a severe toothache. By visiting a general dentist on a regular basis, you can help keep your days fun and free of dental infection. Staring at the pamphlet titled “Do Not Eat” with images of hard candies, potato chips, soda, pretzels, popcorn, chewy candy and more, 10-year-old Daniel sighs in defeat. The key to having a healthy mouth and great teeth is consistency. The more consistent one is with regular dental visits, coming in at least twice a year for cleaning and examinations, the less likely one is to have oral health problems. If your gums appear to be receding, visit us for a checkup. We will examine your teeth and recommend the best treatment. You can have the picture perfect smile by visiting a cosmetic dentist. We can help you have perfect teeth. For anyone who has experienced tooth loss later in life, the All-On-Four procedure may just be the necessary procedures to regain the full functionality and appearance of a smile. When a toothache continues for several days, when a portion of the tooth breaks off, or when someone knocks a tooth out, an emergency dentist is the best course of action. Don’t hide in the back of a group during a photo and keep those pearly whites from the world. Get a teeth whitening today! No matter how happy a person may seem, there is always a little voice in the back of one's thought that worries about all the dangerous risks in life. Laser dentistry allows us to use a medical laser for teeth cleanings instead of dental tools. Call us to learn more. With examinations at our dental office, we can eliminate plaque and early signs of infection. As a dentist, we strive to clean our patients' teeth while also ensuring that their teeth remain healthy. Our aim is for our patients to retain their natural teeth for as long as possible. Since one of our services includes emergency dentistry, we know the hardest thing about having a dental emergency can be finding the right care. Young children are going to need a little extra help with their dental care. Don’t let them slack off. In August of 2016, the benefits of flossing were brought into question by people finding a lack of sound evidence on flossing having health benefits for one’s teeth. Teeth need constant dental care at home and with regular checkups to keep a smile perfect. If you are prone to cavities or have children with vulnerable teeth, you may want to consider visiting us for a dental sealant treatment. 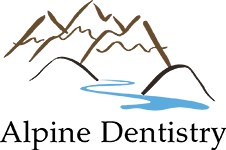 At our sedation dentist office in Colorado Springs, we make summertime dental care more comfortable than other practices. Your dental care does not have to be stressful. Dental veneers have rapidly become a popular treatment option for patients visiting a cosmetic dentist. We can provide you with a smile makeover in Colorado Springs and eliminate any problems you have with your smile. Cosmetic dentistry has made it possible for our patients to have a beautiful smile, regardless of how it looked before. Currently experiencing tooth pain? Not sure whether or not you actually need to go to the dentist‘s office so that the pain can go away? Our cosmetic dentist office should be your next s for a beautifully rejuvenated smile. If you feel as though your smile is lacking luster, we can provide you with a large number of cosmetic dentistry techniques that will help your situation. If you are in need of dental restorations, visit our office for dental crowns and bridges. If you are currently thinking about prosthetics that can help you restore your smile, you might want to consider getting quality dentures.